Most L322 Range Rovers come with a heated steering wheel, and it’s one of those little luxuries that you don’t think you need – then once you’ve had it you wonder how you ever survived without it! 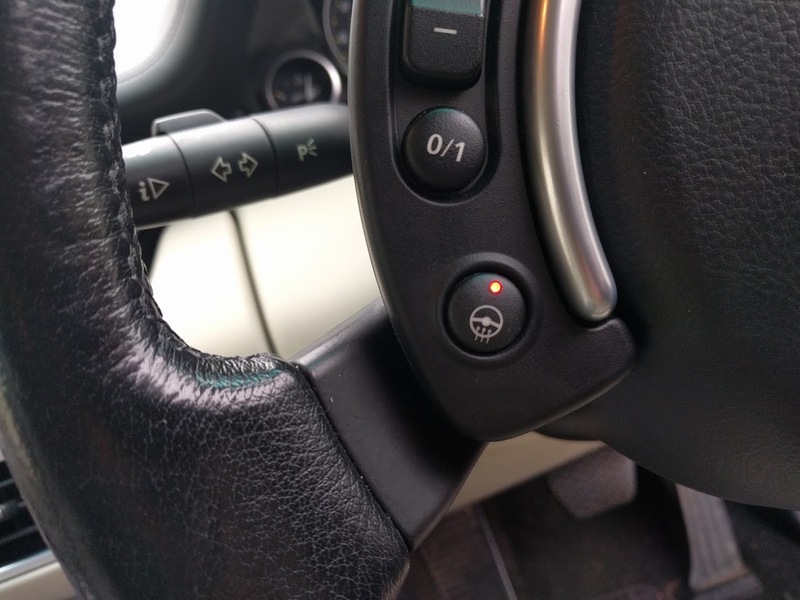 The heated steering wheel has it’s own little ECU mounted inside the steering wheel itself, and you need to remove the airbag/steering wheel buttons assembly to get to it. Removing the airbag is easy enough, there are two small holes either side of the air bag at 3 o’clock and 9 o’clock. Poking a stiff blunt rod into these releases the spring clips that hold the airbag in place (I used a small allen-key), with the airbag released you can unplug the electrical connectors and remove it completely. Note – airbags can be very dangerous!, always handle carefully and make sure the car’s battery is disconnected before doing anything! 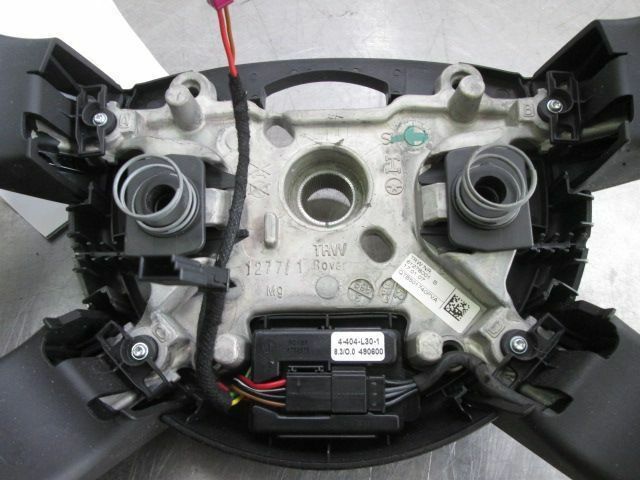 The airbag ECU is the small black plastic box at the bottom of the wheel, it has one plug that connects to the clock spring and has +12V (ingition) and GND, and another that connects to the switch pack and signal lines for the button and the indicator lamp. With a multimeter you can probe the pins in the connector to identify if either the element or the temperature sensor has gone open-circuit or short-circuit. The heating element should have a resistance of a few ohms, while the temperature sensor should have a resistance of a few thousand ohms (I can’t remember the exact numbers!) If you find an issue here it is probably quite difficult to repair, but at least you know the problem so can source a suitable replacement part! With any luck the issue will be a broken wire, damaged pin/connector etc. that is easier to repair….. In my case everything in the wheel checked out OK, but the ECU was not getting any power. 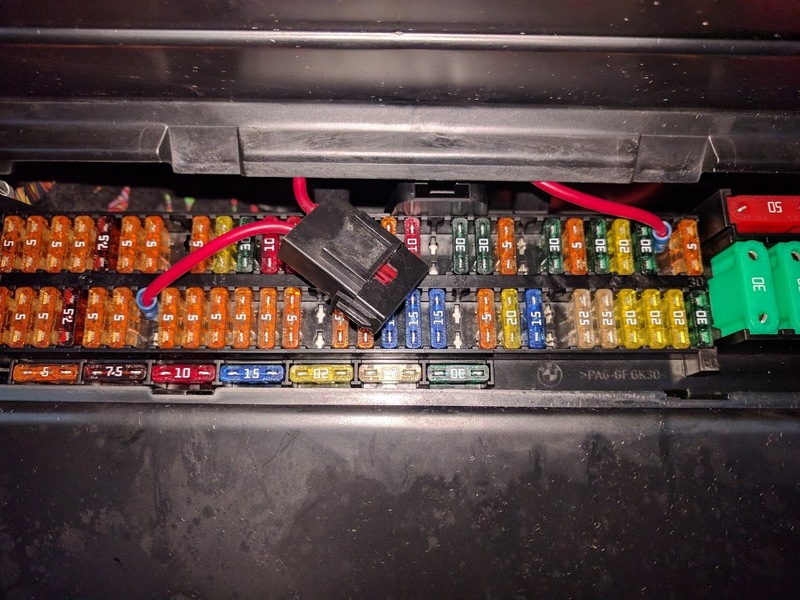 I had previously checked that the fuse was intact, and the wiring from the fuse up to the ECU in the wheel had continuity, but it turned out the fuse holder in the fuse box itself was not getting any power! The ‘proper’ thing to do here would have been to strip down the fuse box to identify the problem, but I didn’t fancy tearing into it (it’s buried behind the glove box…..and I’m lazy) so I MacGyver’d it instead! This was on a 2007 vehicle, the wiring may be different on other model years but I think the same system was used for the whole production run. Hopefully this info has been useful – any questions or comments let me know below.